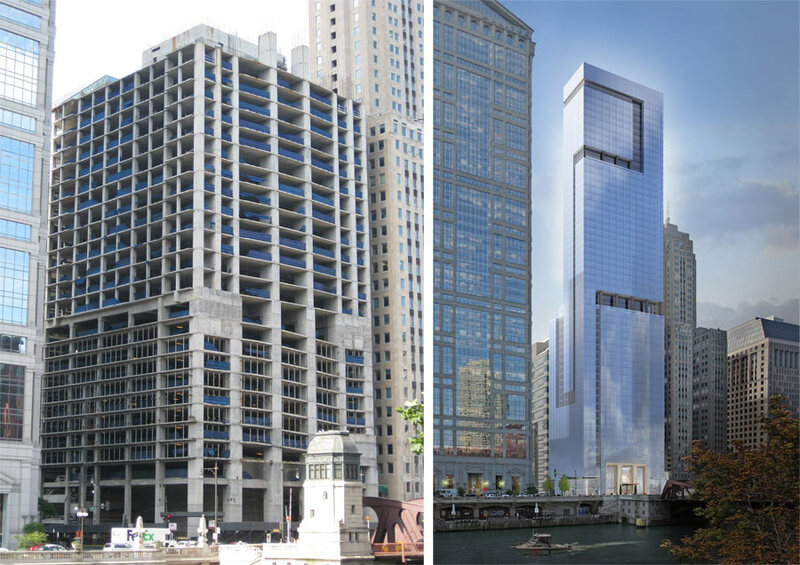 For years Chicago’s celebrated architectural boat tour has started its journey at 111 W. Wacker, a 28-story symbol of the great recession and stalled real estate development. Now they are one step closer to a launch more fit for neck-craning. Construction workers broke ground Thursday on the dormant project once again, reviving the high-rise once intended as the first Shangri-La Hotel in the United States. 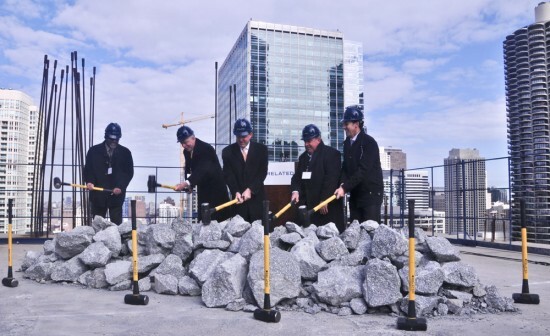 The 950,000-square-foot Waterview Tower will reach 60 stories when completed in the Spring of 2014, housing 504 luxury rental units and more than 400 parking spaces. There will be ground-floor retail and a restaurant. The tower stalled in 2008 and developers Related Midwest scooped it up in July 2011 through a distressed real estate fund. 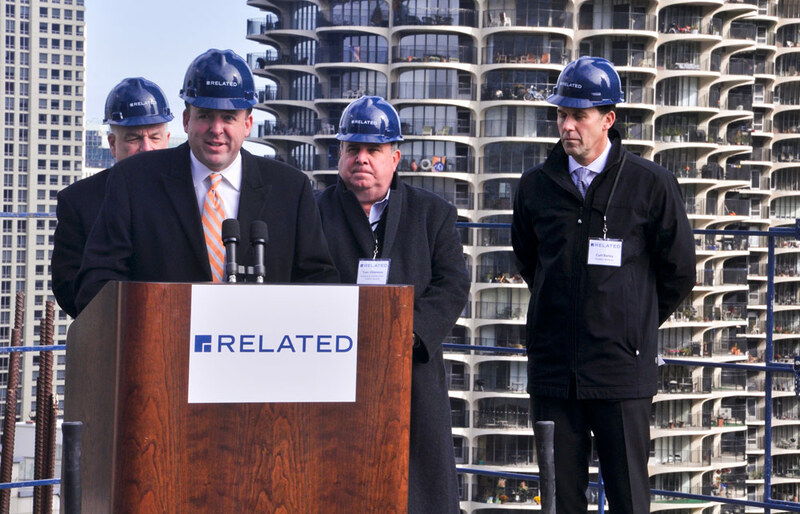 Related has been busy lately, announcing work on projects including 500 North Lake Shore Drive, the Lathrop Homes, and roughly half of the built and unsold condo units in the South Loop. Alderman Brendan Reilly and Commissioner Andrew Mooney of the Chicago Department of Housing and Economic Development joined Related President Curt Bailey for the groundbreaking. Construction will create 900 jobs, something union representative Tom Villanova said came as welcome news to construction workers who had been facing 25 percent unemployment. 111 West Wacker Drive related midwest Zombies zombies live!